Promoting creativity and communication were ConjunciÓN’s key principles, a space mainly founded upon co-working. 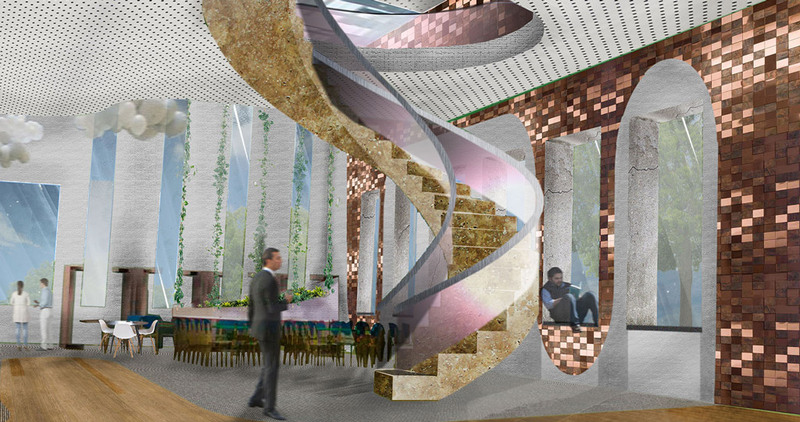 For that purpose, Alfonso Salgado thought about the everyday tasks around a spiral staircase, whose role was to connect the two floors of the building. The interior layout, therefore, would encourage people to find perfect inspiration in order to develop their projects successfully through the exchange of ideas and teamwork. All of this joined and enhanced by a pleasant and cosy atmosphere where everyone wanted to work. Harmony and cosiness, eclectic present spirit; originality turned into interior design thanks to a carefully worked blend of materials and finishes. 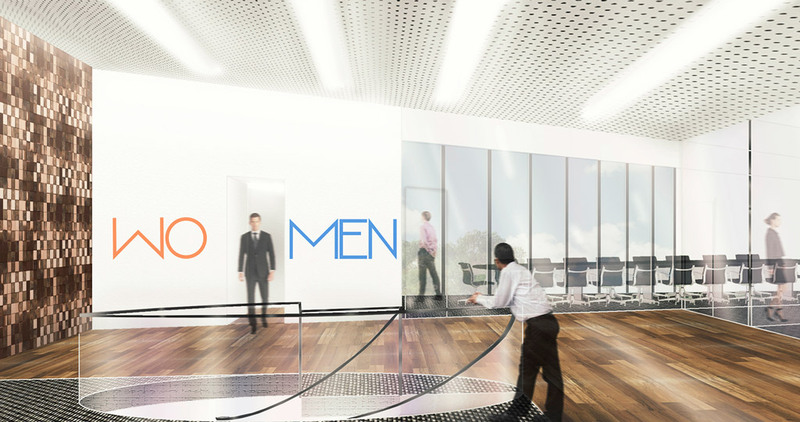 With regard to the floor layout, one can see that on the lower floor the project outlines a spacious hall, a meeting room and a large co-working area. It is worth highlighting how apart from the spiral staircase, Alfonso Salgado integrates a large staircase, whose main objective is to provide people in the workspace with inspiration through a space where they can sit and reflect. This floor is also made up of a kitchen, dining room and bathrooms, therefore, the everyday activity gets easier and a full co-working experience is offered. 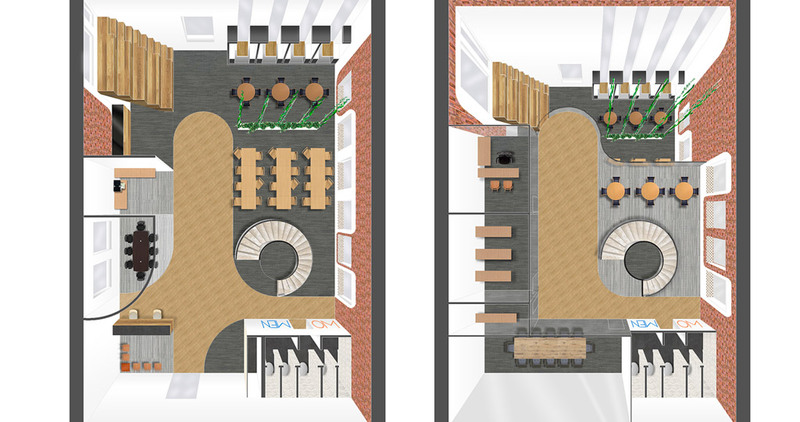 As far as the upper floor is concerned, people can make use of a communal area, a meeting room (larger than the one downstairs), a filing room and an office. 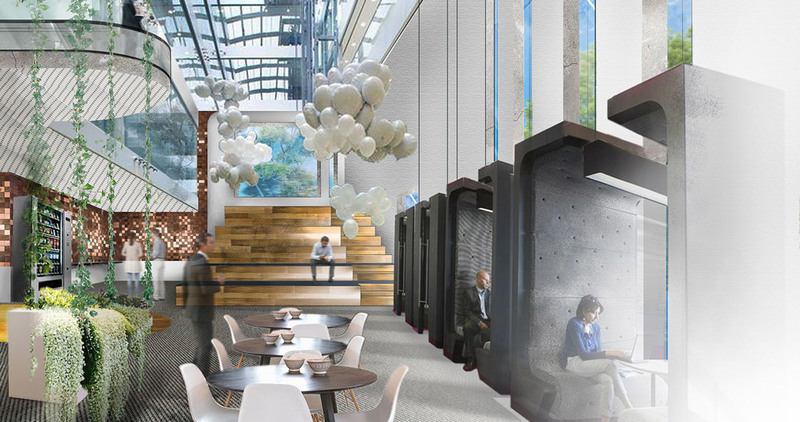 This floor is provided with a viewpoint where the activity in the workspace downstairs can be seen, therefore, strengthening the idea of interconnection between all the co-working areas in ConjunciÓN. There are also some services for people’s comfort, so they do not need to go downstairs. 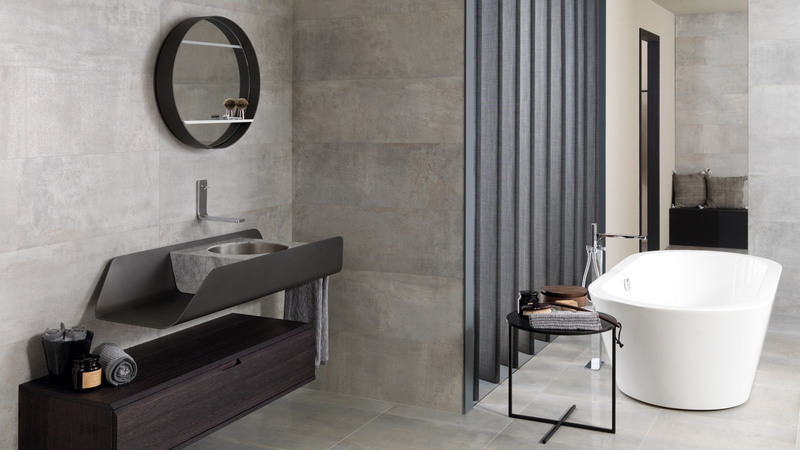 PORCELANOSA Grupo provides this design with its versatility, quality and a big array of materials and finishes. A material miscellany which gives the workspace aesthetics and functionality, so that people can feel at home. The spiral staircase, the core element in ConjunciÓN, is made of Moka Classico travertine by L’Antic Colonial which completely covers the structure. This material enhances the aesthetical power of the staircase, and while conveying warmth, it invites people to head for the upper floor. One of the other materials from the PORCELANOSA Grupo which really stands out is the PAR-KER® ceramic parquet, which is ideal for areas with high traffic, like any workspace is. 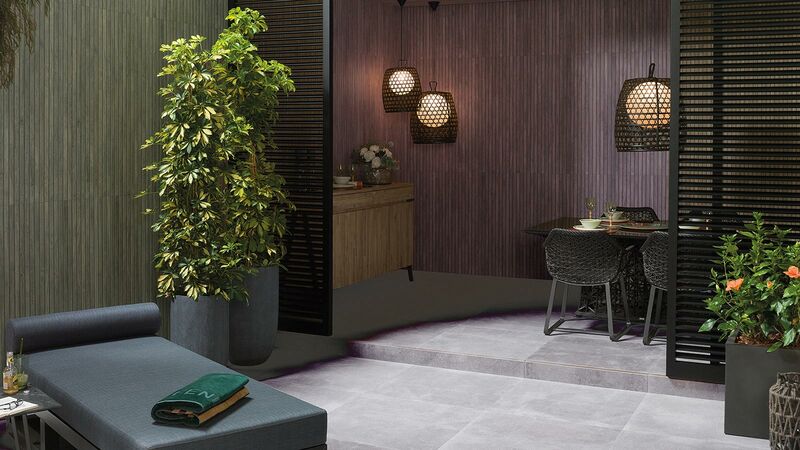 Inspired by wood, it offers warmth and authenticity; without forgetting about other advantages such as: durability, easy cleaning or the high resistance to wear and tear, since we are dealing with a porcelain tile. The model chosen is Canada Cooper, perfect for flooring like the one from ConjunciÓN. Additionally, the Linkfloor Roll vinyl flooring, also by L’Antic Colonial, is used in some workspace areas. This vinyl fabric facilitates that the daily use of the facilities does not affect the aesthetic look. The series Contract Graphite and Contract Gravel are the ones used in this project. The walls from the workspace have been covered with the metal-effect wall tile from the Metal series, which enhance the feeling of modernity. This mosaic by L’Antic Colonial provides a touch of distinction and quality, therefore, a feeling of professionalism is achieved in the work that is done. Stone also plays a major role in the large windows, since they have been covered with Graphite Air Slate . 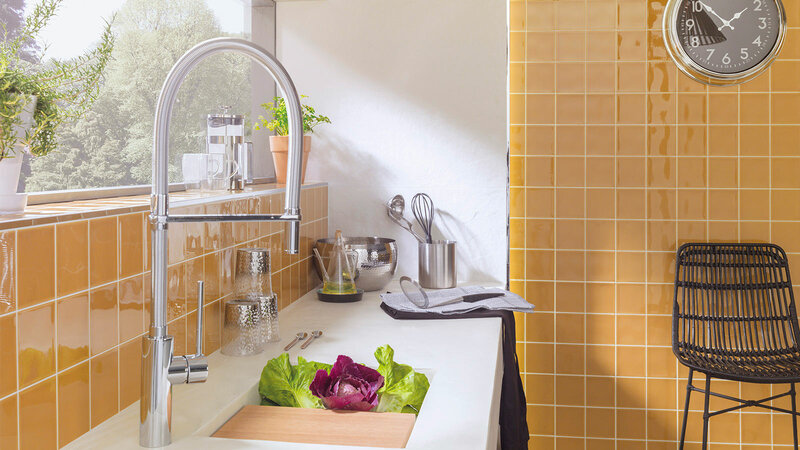 This material, which stands out because of its thermoforming capacity and light weight, results in being ideal for providing the spaces with continuity. Last but not least, the Dover Spiga Caliza wall tile has been used in the bathroom area, and furthermore, it completes the list of materials in Alfonso Slagado’s project, where working becomes a comfortable, pleasant, enjoyable and highly inspirational experience.